The saying goes "red and green should never be seen" but this fabulous Körsbärstrådgarden (cherry orchard) Scandinavian fabric breaks all the rules. This beautiful fabric by Almedahls, printed with ripe cherries and birds, was actually designed in 1959 by Swedish designer Marianne Westman. What a shining example of how good design stands the test of time! Almedahls Swedish fabrics are ideal for curtains, blinds, and soft furnishing projects. Marianne Westman was one of the most popular Swedish designers of the 50’s and 60’s, and many of her designs are still highly collectable today. Marianne joined the famous Swedish company Rörstrand in 1950 after graduating from the University College of Arts, Crafts & Design in Stockholm, she worked closely with the company for more than 20 years. Note Körsbärsträdgården fabric is printed in a panel design. When joining widths of fabric patterns cannot be matched exactly. We want you to be delighted with your fabric choice. As unfortunately fabric is non-returnable, we kindly ask that you take a few moments to read the points below. - We aim to hold stock of all of our fabrics, however there may be occasions when we have to order your fabric from Sweden. In this instance delivery is usually within 14 days and you will be notified by email immediately. - We recommend customers order a sample of fabric before purchasing. Images online are as accurate as possible to match the product, but computer monitors vary greatly. - You can order up to six individual fabric samples. 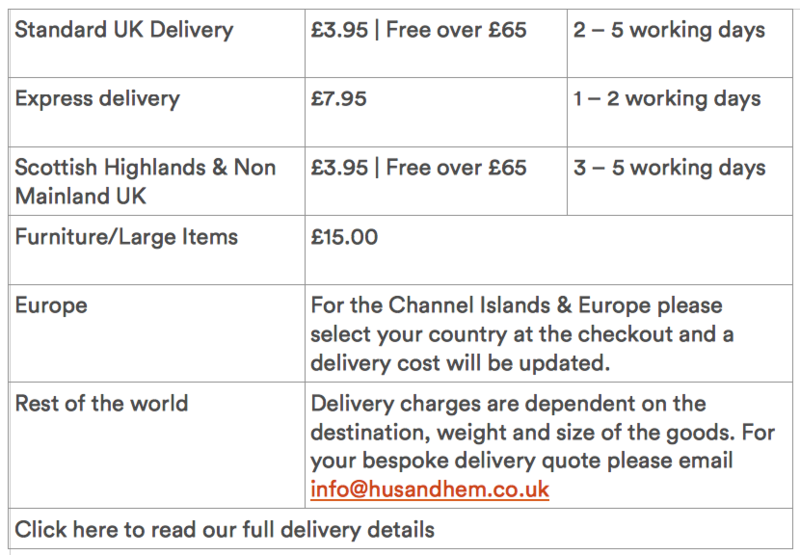 Although free, a small charge of £1.50 will be added to cover p&p. - Samples are intended as a representation of colour and texture only, and will not show the whole design. - Fabric roll batch variations can occur. If time has passed between receiving a sample and placing your order, we recommend you request a cutting from a current batch. - Natural fabric will often have small slubs within the weave. This is not considered to be a fault but part of the charm of the fabric. - On receiving your fabric please inspect carefully before cutting, as cut lengths cannot be returned, nor can we be held responsible for any making up costs of curtains, blinds or upholstery. - If fabric is being sent directly to a third party, i.e. a curtain maker, we recommend that they have a sample or image of the fabric. It is the customers’ responsibility to check that the correct design and colourway has been received. Once cut or handed to a third party we cannot accept responsibility for any errors that may occur. - If you have any queries do not hesitate to contact us, we are here to help and advise.